Tourists Come for the Outdoors, Protect It! The 2014 Leisure Travel Study conducted by the Regional Office of Sustainable Tourism (ROOST) illustrates the importance of a healthy environment to our regional economy. 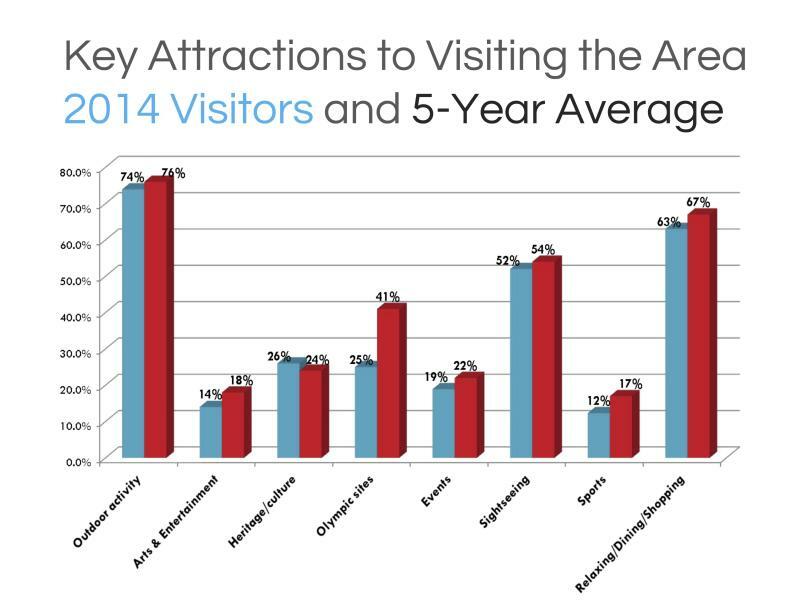 The study finds that visitors are coming to the Adirondacks primarily to enjoy outdoor activities (74% respondents), relax (63% of respondents; includes dining & shopping) and sight-see (52% of respondents). 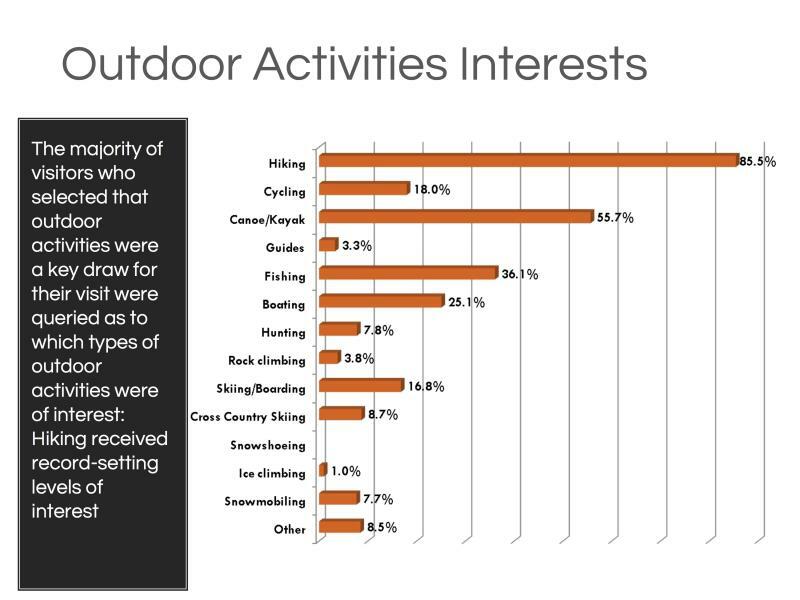 A more detailed breakdown of the outdoor activities shows that hiking, canoeing and kayaking, fishing, and boating are the most popular outdoor activities. The data above clarifies what many of us already know - a healthy environment is critical to socially vibrant and economically sustainable communities. We are lucky to live in such a beautiful place where clean air and water and healthy wild ecosystems seem abundant and unspoiled by the imperfections of industry and urban sprawl. Nevertheless, our natural resources are at risk. The Ausable River and its watershed are under threat from invasive aquatic species, which, once established, would be detrimental to our world-class trout fishery. Some regional lakes are already feeling the negative effects of invasives gaining a foothold, resulting in declining property values and reduced tourism. Many portions of the river suffer from sedimentation - the legacy of long past manipulation of the river for logging and of development of streambanks and floodplains that removed trees and plants essential to reducing erosion and managing flood waters. Road salt threatens the aquatic life in both our lakes and the river and harms roadside plants essential to slowing and absorbing road runoff. Mirror Lake and the Cascade Lake are at highest risk from road salt, threatening the ability of these lakes to support cold water fish species. Brook trout, our beloved native trout, are facing an increasingly desperate battle against climate change, non-native species, road salt, and habitat fragmentation. The results of the study underscore the importance of partnerships among residents, local, municipal and state government agencies, community leaders, and environmental and research organizations to resolve threats to and invest in healthy wild Adirondack ecosystems. Let's protect what we have to ensure we can share it with others for generations to come.